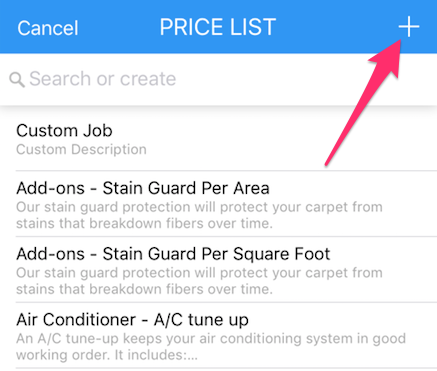 While it's always a good idea to import or create your price list in Housecall Pro from the start, you can always add new items to list from where ever you are. Go to th details page of the job or estimate that you would like to add the new line item to. Scroll down until you see the 'Line Items' card. 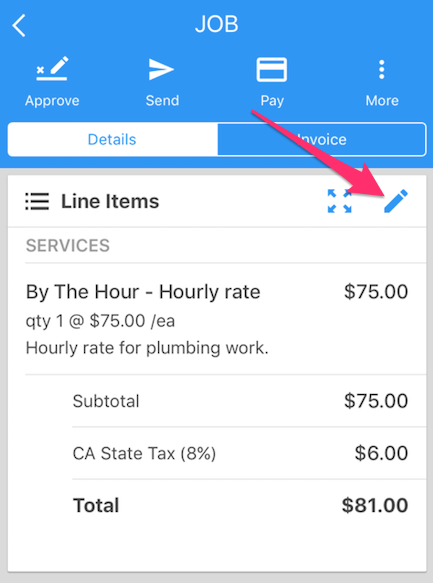 Click on the pencil icon in the top right to edit the line items. 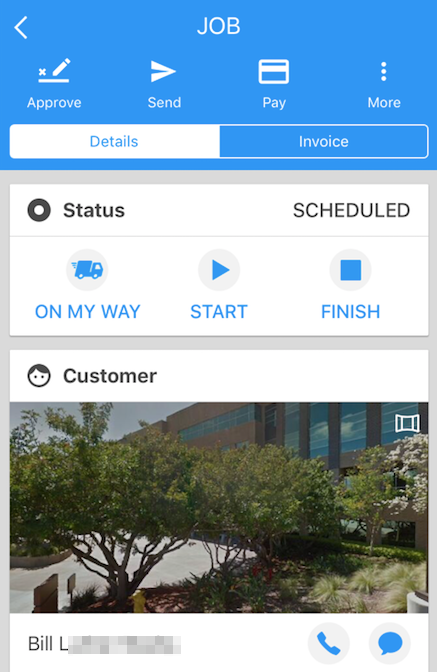 This will bring you to the page to edit your invoice/estimate. 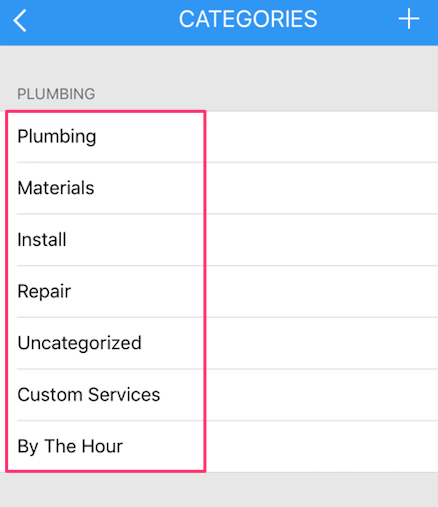 To add the brand new line item, click the '+ services' or '+ materials' button. 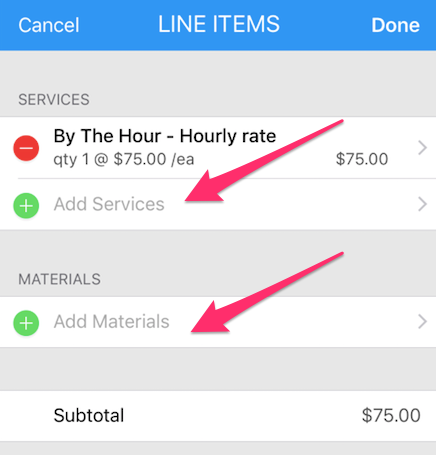 If the item is a service, choose services; if it is a material, choose materials. 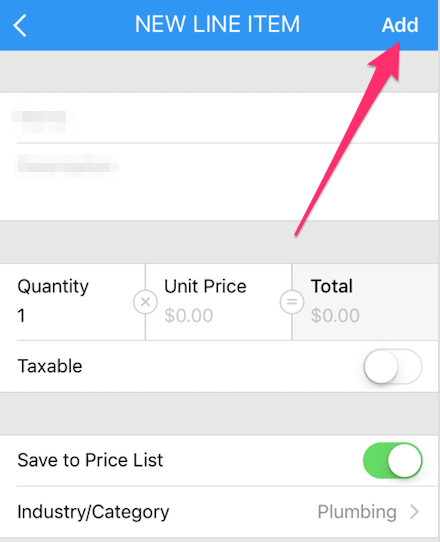 Your existing price list items will appear, along with a '+' button in the top right. 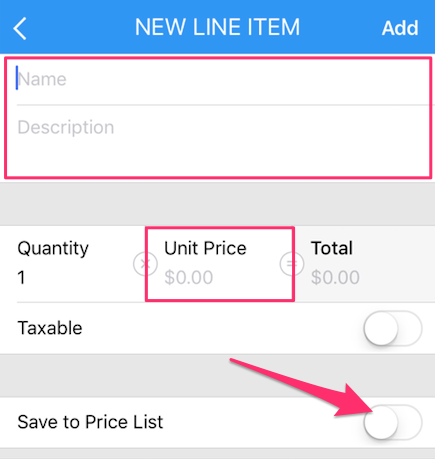 Click the '+' to add the new item. The button will turn green once turned on, and a new line will appear called 'Industry/Category.' Click there to choose which category the item belongs in. 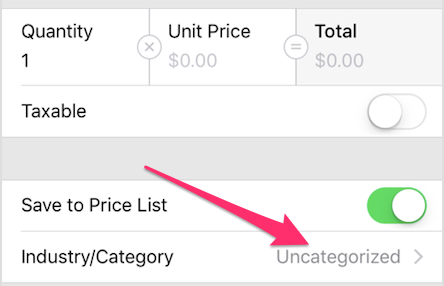 A list of existing categories will pop up, you can then click on the correct one. After the correct category has been selected, click the back button in the top left. You'll be brought back to the 'New Line Item' page with all of your information entered. To save the item, click the 'add' button in the top right.